It's your wedding day, and you want it to be perfect down to the last detail. When planning a dream wedding, the right venue is one where dreams come true. Maybe an outdoor setting with a grand entrance and tranquil gardens fits with your twilight wedding fantasy, or the sophistication of a historic downtown hotel suits your vision of an elegant classic wedding. 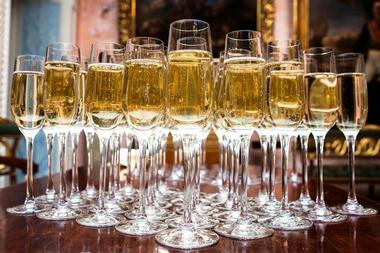 You can also find an industrial chic museum, a Renaissance-style mansion, a glass-enclosed yacht, an upscale private club, and a swanky penthouse with awe-inspiring panoramic views, meaning that the nation's capital has no shortage of stylish locations for your big day, starting with these 25 dazzling Washington D.C. wedding venues. Dumbarton House sits on 1.25 acres featuring stunning grounds and gardens ideal for elegant and romantic weddings. Built in the 1800s, it is one of the best examples of architecture from the Federal period and features a collection of impressive decorative art. This acclaimed venue has been featured in several magazines, including Wedding Style, where it remains in their five-star directory. With their grand entrance, outdoor terraces, tranquil gardens, banquet spaces, and museum-like rooms, it's not hard to see why. In addition to their diverse and picturesque venues, they also provide a list of trusted vendors to assist with every aspect of your wedding planning. 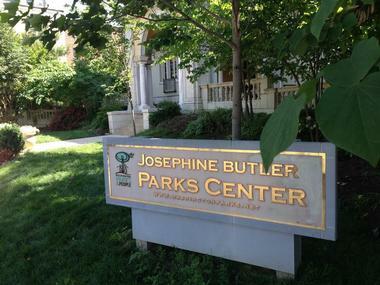 The Josephine Butler Parks Center is a stunning 18,000-square-foot Renaissance-revival style mansion overlooking Meridian Hill Park. It was originally the estate of the Hungarian Embassy to America, but now serves as the home to the Embassy of the Earth. Couples looking for a wedding boasting a historical feel need not look any further than this venue with its whopping 40 marvelously designed rooms and extraordinary architecture. They also offer outdoor spaces that can have the tables and chairs set up by on-site staff and a spectacular list of preferred vendors to help with everything from music to food. The Old Ebbitt Grill is an iconic locale established in 1856 just steps from downtown museums and The White House, a favorite eatery for Presidents Cleveland, Grant, Harding, and Roosevelt. It continues to be a local hot spot today, a favorite for theater-goers, journalists, celebrities, and political insiders, making it a perfect space for a wedding. They feature a variety of opulent and eye-catching rooms for any wedding size, including the Cabinet Room, Oyster Bar, Full Atrium, Rooftop Terrace, Partial Atrium, and Corner Bar Alcove, accommodating anywhere from 25 to 700 guests. For an elegant, out-of-this-world wedding, it must be held at this historical and emblematic venue. For a classically timeless wedding there is almost no venue more perfect than the historic Hay-Adams, featuring Italian Renaissance architecture with an upscale interior design that boasts Tudor and Elizabeth motifs. Their magnificent views of the White House only enhance their ceremony and reception spaces, offering an elegantly enchanting wedding for the ages. For couples looking for a winter wonderland experience, the Hay-Adams offers a package that includes a complimentary two-night bridal suite, a winter wedding menu prepared by Executive Chef Nicolas Legret, and reduced room block rates. When it comes to romance, grandeur, and unparalleled views, the Hay-Adams has no rivals. Top of the Town is an upscale event space just outside of Washington, DC, that provides unrivaled awe-inspiring panoramic views of the nation's capital, the Potomac River, and all of its most notable monuments. The penthouse that sits atop a hillside features 12-foot-high windows, magnificent chandeliers, a marble hallway and foyer, a wood panel dance floor, lounge furniture, Chiavari chairs, and much more. This beautifully appointed room features an attached outdoor terrace, allowing for up to 180 guests, and offers an exquisite list of preferred vendors, including photographers, musicians, florists, and caterers. For a truly over-the-top opulent wedding, there simply isn't a venue that rivals this one. Kimpton Donovan Hotel is located on Thomas Circle, a premier area that features a wide variety of galleries, shops, bars, and restaurants while also being extremely close to the Metro. This is an ideal location for couples who want to enjoy an extended wedding experience with their guests, where subtlety blends perfectly with sophistication. It is a perfect place to indulge themselves in the mystery of the hotel and its amenities while also getting the chance to immerse themselves in DC's culture. The hotel features more than 5,000 square feet of interior and exterior spaces, including their nearly 1,400-square-foot Bernstein Room and the naturally lit Woodward Room. The Kipton Mason and Rook Hotel is the divine location for those who want a polished wedding with all the thrills, but don't want to be overworked creating it. These dapper downtown digs can host weddings of up to 100 guests providing delectable catering, flexible outdoor and indoor spaces, superb guest rooms and suites, and signature amenities. Couples can choose from their three venues, a modern ballroom with romantic skylights, a rooftop oasis with picturesque skyline views, or a stunning cocktail bar with attached outdoor patio. They also offer hotel room blocks so all your guests can be easily accessible to one another, as well as private dining options. 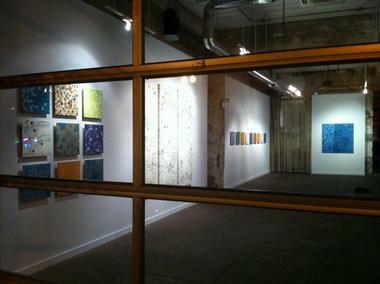 Long View Gallery is an industrial chic art museum that features contemporary fine art from both established and emerging artists, making it the perfect backdrop for a unique wedding experience. This modern venue offers several distinct spaces, from the “I do's” to the reception. Known for being transformative, they encourage all of their guests to bring in their grandest ideas and let them turn them into a reality. With 8,500 square feet of separable historic warehouse space, diverse floor plans, and 15-foot ceilings that flood the interior with light, the future husband and wife will be sure to create their dream wedding. The Meridian House is an architectural highlight designed by John Russell Pope, who is known for constructing the Jefferson Memorial, National Archives, and the National Gallery of Art. 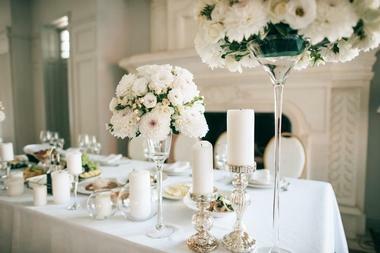 This historic house is perfect for couples looking for an elegant wedding with an Old World charm. This has largely to do with the historic White-Meyer House, also designed by Pope and bordering the Meridian House. They are both surrounded by awe-inspiring historic gardens, which create a city block of sorts that is devoted to history and architecture. Within, guests will find grand majestic ballrooms, while outdoors they'll find ethereal gardens lit by gorgeous paper lanterns. For those looking for a one-of-a-kind wedding should look no further than Odyssey Cruises, a glass-enclosed, European-style Odyssey that can accommodate a guest list as small as 50 people to as large as 500 people. 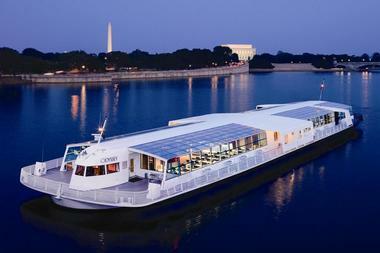 Guests will enjoy gliding across the Potomac River, traveling under the gorgeous historic bridges that arch over the river, while enjoying breathtaking views of some of the nation's most iconic monuments. This signature wedding venue offers an elegance one can only dream of, with customizable wedding enhancements, entertainment that will get everyone on the dance floor, and a menu that will be raved about for years to come. 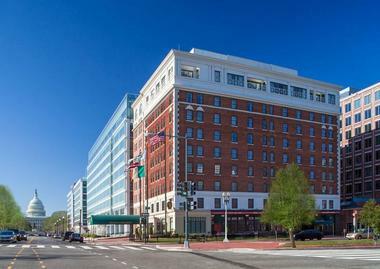 The Phoenix Park Hotel is the perfect blend of sophistication and comfort, a historic Washington DC venue that remains true to its authentic 1920s architecture, while seamlessly embracing modern amenities. Located in the heart of DC just steps away from the U.S. Capitol and Union Station, it's the perfect space to host an elegant and momentous wedding. The hotel is equipped with their own wedding planners, giving couples the undivided attention they need to plan their big day. Couples can choose one of their three distinct wedding packages; Irish Charm-Capitol Style, Emerald Isle Soiree, and Royal Gaelic Banquet; each can be tailored to fit their specific needs. 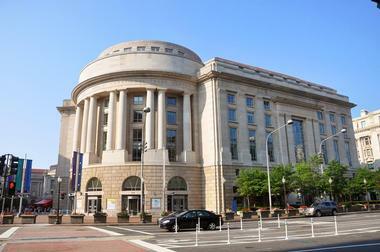 The Ronald Reagan Building and International Trade Center is an ideal setting for any wedding of any magnitude. A stunning venue located in the center of downtown DC, each of their signature spaces boasts awe-inspiring views overlooking Pennsylvania Avenue. Their interior spaces offer an excellent mix of sophistication and modern design within this iconic architectural structure. They have their own wedding planning staff, allowing guests the chance to plan their ideal nuptials from small and intimate to grandiose and lavish. Their culinary team offers a variety of catering options from menus, featuring multi-ethnic cuisine to classic American dishes with a twist. 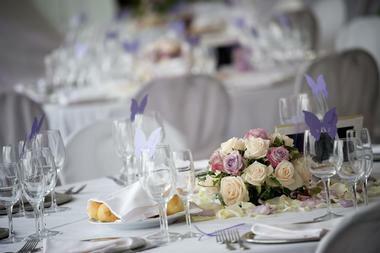 For a tranquil and picturesque wedding, look no further than the beautiful Sequoia restaurant. Nestled on the banks of the peaceful Potomac River, it boasts floor-to-ceiling glass windows, which allow for magnificent views of the Roosevelt Bridge and Island, Kennedy Center, Key Bridge, and Virginia Skyline. The interior reflects its surroundings with a contemporary nautical design, featuring artistic chandeliers. Guests can utilize their dining room and mezzanine or private state room, with adjacent the patio for their wedding reception accommodating up to 600 guests. Panoramic views of nature, historic national landmarks, and dramatic sunsets make this an ideal locale for those looking for a wedding of simplistic elegance. Studio 52 is an industrial-chic venue that was specially designed by founders Drew and Chelsea, and they've handpicked every design element in the space to ensure their guests feel cozy in this intimate setting. Exposed ceilings, brick, and repurposed 100-year-old barn door walls give this space its modernized look, while red backlit windows, subdued overhead lighting, and a glass window-paned garage door entrance give it just the right amount of warmth. They also feature an on-site photo booth, perfect for guests to get a little silly. Studio 52 is ideal for those looking for a unique and funky wedding space for small to medium-sized ceremonies. 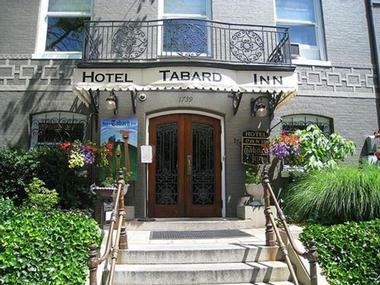 The Tabard Inn is a beautiful 19th-century townhome that provides both elegance and charm for an intimate wedding with a pastoral flair. 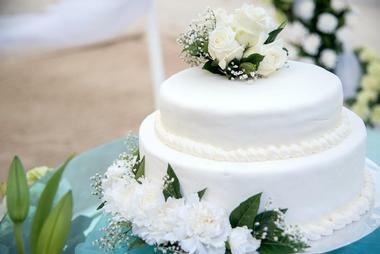 Guests can get the best of both worlds with an outdoor ceremony in their picturesque patio garden followed by an indoor reception featuring delectable hors d'oeuvres, cocktails, dinner, and dancing. The entire second floor is used for private event space with two unique private dining spaces that can also be connected to create one big room and seat up to 100 guests. The space features authentic decorative marble and wood fireplaces, period furnishings, oak floors, and walls decorated with romantic fixtures. The City Club of Washington is an upscale private club founded in 1987 in the center of the business and theater district; they focus on providing an opulent space devoted to entertaining, dining, and social activities. 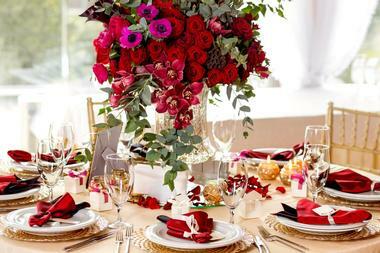 Couples who are looking for a lavish ceremony that will be talked about for years to come need look no further. This venue features sophisticated, luxurious, and visually stunning event rooms both indoors and outdoors, which are able to accommodate up to 300 guests. 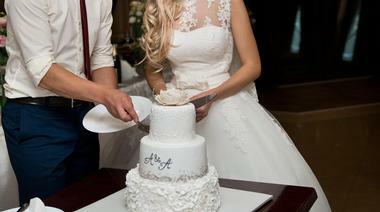 With their professional wedding planners, each couple can customize their wedding with ease, including ice sculptures, custom table skirting, floral arrangements, five-star menus, and more. The Hamilton is an exquisite and unique venue able to host any style of wedding reception with their three distinct event spaces. The Hamilton Live is a private room that boasts tiered table seating around two bars and a stage that utilizes state-of-the-art green technology, perfect for live entertainment and ideal for large yet romantic receptions. The Loft Dining Room sits on the second level featuring wood paneling and stunning murals by renowned artist Kevin Paulsen, just right for an elegant reception. On the main level is the Arboretum Room, a light and airy space featuring high ceilings, large windows, and opulent chandeliers, an excellent choice for a sophisticated reception. Things to Do in Washington D.C. The Lincoln Restaurant is situated in the heart of DC, an excellent venue for a wedding reception that combines an iconic, historic vibe with a sleek modernism. This unique architectural space was designed by Maggie O'Neill, a renowned hometown artist who expertly immersed President Abraham Lincoln into every facet of these exceptional reception spaces. This includes a tiled floor that incorporates one million pennies, a back-lit wall of the Emancipation Proclamation, and a custom-made imposing white leather chair, reminiscent of Lincoln's memorial seat, for the bride and groom. Every reception is completely customizable and features a delicious menu tailored to the couple's tastes using locally sourced ingredients. The Loft at 600 is an architectural masterpiece constructed by Albert Goehner in 1909; it was renovated in 2012 to incorporate modern amenities while keeping the original Italian Renaissance revival design. 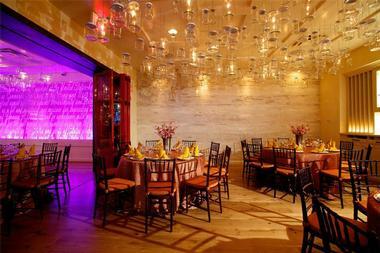 Nestled in the heart of downtown DC, this three-floor venue can accommodate up to 120 guests. 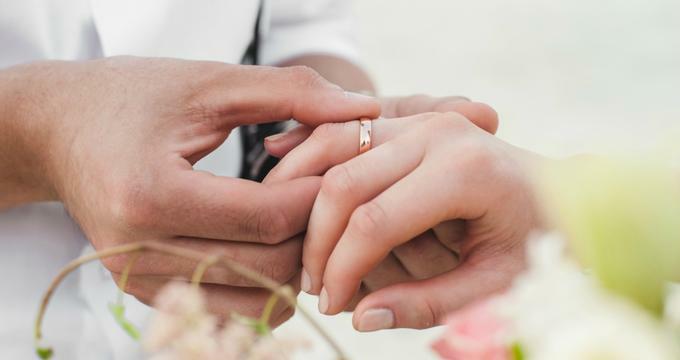 With a devoted event staff that works closely with each couple and their vendors, couples can rest assured their wedding goes off without a hitch. High ceilings, stunning hardwood floors, chic sofas, a terrazzo stairwell, and large glass windows provide an ambiance that can be adapted easily to themes of any kind, from classic elegance to countryside chic, depending on the couples' vision. The Mansion on O Street is the hidden gem of wedding venues, with their themed rooms offering couples a chance of a destination wedding without having to leave the country. 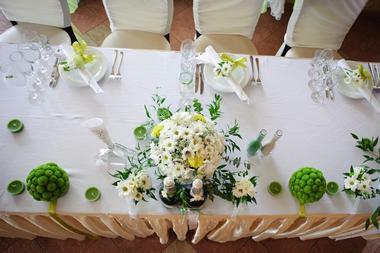 Guests get their very own complimentary wedding coordinator to assist them with every detail of their wedding as well as the choice of nuptial package. These include Dreams Come True, Love Blooms, Live Heaven, and The Royal O, among others. 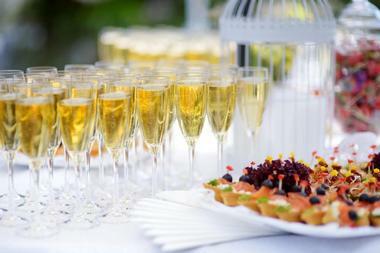 World-class cuisine is included in each package catered to the dietary needs and unique personality of each wedding party, such as kosher, vegan, international, and regional choices. 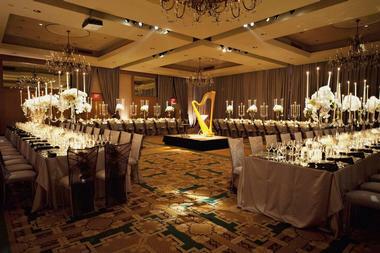 The Ritz Carlton, in the heart of Georgetown, is the ideal setting for small and unique weddings thanks to their three event venues. Their Urban Garden is perfect for a simple and romantic wedding with a terraced garden, a lavish canopy of trees, and stunning stacked stone wall. 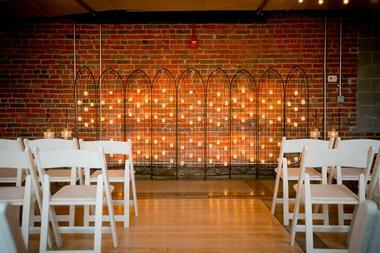 Indoors, couples can enjoy an elegant and traditional wedding in the Fahrenheit Ballroom, featuring exposed brick, floor-to-ceiling windows, and adornments that showcase the rich history of the building. For a more unconventional wedding, the Chimney Shack is an excellent choice, whereby the ceremony takes place at the bottom of the notable 130-foot smokestack boasting industrial-chic décor and soaring ceilings. 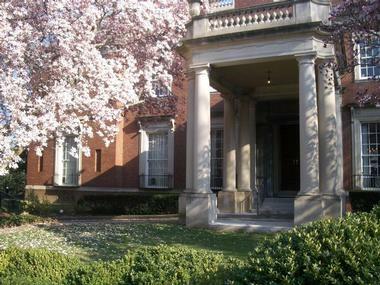 The Whittemore House is one of the most elegant and historic mansions in Washington DC, built by iconic architect Harvey Page as a private home for opera singer and descendent of John Adams, Sarah Adams Whittemore. 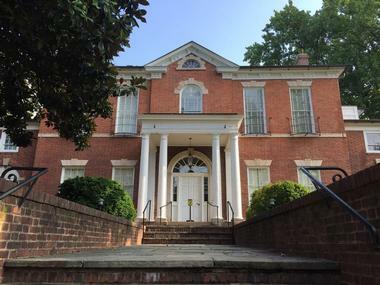 Now a Historic National Landmark, the Whittemore House features a variety of luxurious and beautifully designed rooms that showcase the prominent collections of political memorabilia, art, and antiques illustrating the rich history of the late 1800s and early 1900s. The mansion can host a wide variety of wedding party sizes from intimate groups of 20 to larger parties of up to 250; this is an ideal locale for stately weddings. Toolbox is nestled in the center of Dupont Circle, a boutique-style space that seamlessly blends traditional with contemporary. 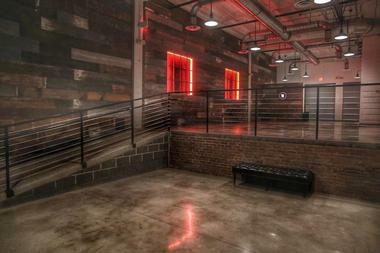 The interior utilizes natural materials like brick walls and wood floors and combines them with unique accents such as their glass staircase railing, large round window, huge red front door, and abstract art pieces. They feature two floors that can be completely transformed into any style, from rustic countryside to classic elegance; accommodating anywhere from 130 to 250 guests. The event staff will assist each couple and their vendors to ensure that everything runs smoothly, and will even assist with decorative ideas or a one-of-a-kind surprise feature for their guests. The historic Omni Shoreham Hotel is an ideal venue for any couple looking to throw a sophisticated wedding featuring three distinct ballrooms and one outdoor venue. The Blue Room is one of historic opulence, a place where John and Jackie Kennedy began their courtship, a stunning Marquee Lounge with attached terrace. For a stately reception, the Palladian Ballroom is perfect, showcasing the Jeffersonian architectural style and large oval windows overlooking the gazebo. 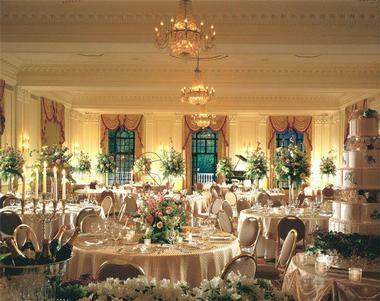 The Empire Room offers an art deco style, with stunning crystal chandeliers, a dramatic stage, and a terrace. 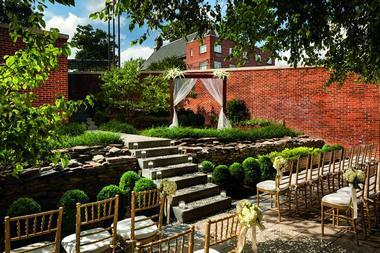 Their terrace and gardens are ideal for an outdoor ceremony, nestled in the lush greenery overlooking Rock Creek Park. The Four Seasons Hotel in Washington DC is ideal for couples who are looking for a chic, cosmopolitan experience combined with elegance and grandeur. 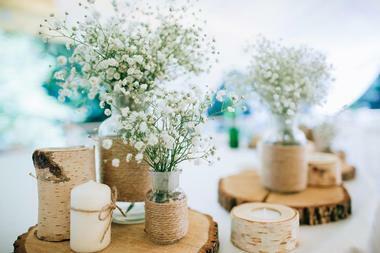 They feature several unique spaces to suit anyone's wedding needs, from sun-filled settings to sky-lit venues. Guests will find everything, from stunning private terraces that boast picturesque views of the Georgetown C&O Canal to their sprawling lawns decorated to perfection. Every couple who books this venue is given their own personal wedding coordinator to handle everything from flowers to cakes as well as several specialty packages to choose from, including kosher, Persian, and Indian-themed weddings.